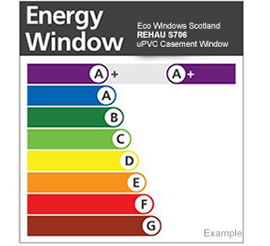 Eco Windows are part of the Quality Trade Windows Ltd group, started by Lex Philip in 1993. We have traded uninterrupted since then, never failing to honour our guarantees to customers or debts to our suppliers. In other words, we have never closed our doors and started again, even with a slightly different name. Our main aim is simple, to achieve they very best energy efficient product we can at an affordable price, with absolutely no compromise on quality. That is why all our frames are manufactured from Rehau profile, and incorporate triple glazed Planitherm units, the best performing low e coated glass to produce triple glazed energy saving windows that could greatly reduce your heating bills. All with full multi point locking systems and specialized heavy duty hinges to support the extra weight of triple glazed units – we even use energy efficient thermal trickle vents. How can we offer our windows and doors at such competitive prices? Well, when you buy from Eco windows none of your hard earned money will go on salesmen’s commission or salary – because we don’t have any. Our customers deal direct with the owners of this family run business, so you can be sure of the highest performing windows at our lowest price. And you won’t have to sit through hours of listening to price offers starting high and gradually coming down. At Eco windows you will only get one price – our best price – first time. To see the best of what Eco windows has to offer contact us to visit our showroom at our East Kilbride factory, or to arrange an appointment. 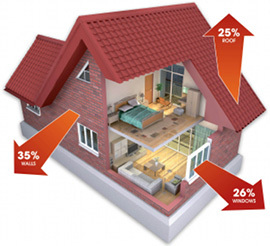 Eco Windows Scotland is aimed at our domestic customers, bringing you an overview of all of our double glazing and triple glazing products. Quality Trade Windows caters to our trade customers, highlighting the best of our trade windows and doors for builders, installers and commercial businesses. 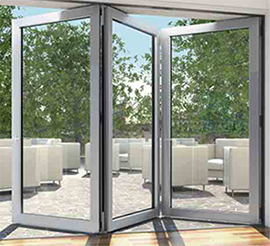 Scottish Bifold Doors shows off our exclusive Schüco aluminium ranges including patio sliding doors, bi-folding doors and and aluminium windows. Sash Windows Scotland features our authentic replacement sash windows, featuring some of our own installations including our unique run-through sash horns.